The roots of Halloween may go back to a pagan festival called Samhain. Participants believed that the spirits of the dead roamed the earth, so they wore costumes and carved faces into turnip lanterns to hide from and ward off the evil spirits or engaged in rituals to try to communicate with them. Some of the festivals may have even involved human sacrifices. But Halloween also has roots in celebrations like All Saints Day where Christians would pray for and remember the souls of loved ones that had died by baking "soul cakes" and giving them to poor children that would come to their homes seeking these treats. All Saints day originally took place in May, but Pope Gregory IV moved it to the fall to match the date of the Samhain festival. Gregory's decision reflects the Biblical theme of redemption. Sometimes God destroys something being used for bad purposes or tells people to separate themselves from it. But sometimes God redeems it, using it for good and robbing evil of its hold on whatever it is. People can still use Halloween practices with dark intent, but they can also redeem them. 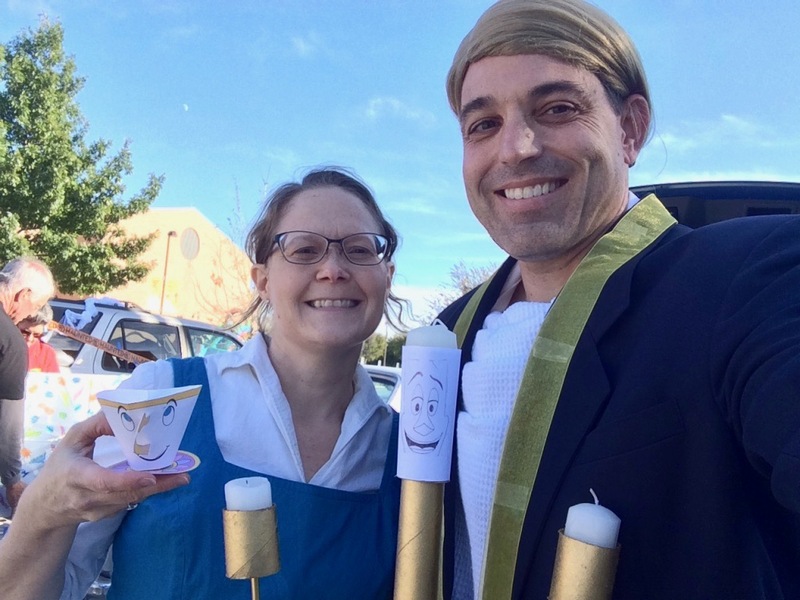 They can celebrate the lives of "saints" that have passed on, spread joy and a sense of community among neighbors as they treat children to candy, and, in the case of Trunk or Treat events, introduce new people to a church community. Candy doesn't have any power in and of itself to overcome evil, but God can use what Christians do with it to redeem a celebration with some dark history. This Sunday at Access we’ll celebrate All Saints Day with a powerful activity to remember and give thanks for loved ones that have died. We’ll also begin a new sermon series titled, “This is Us.” Over the course of the next three weeks pastors Julie, Clayton, and I will share the distinctive beliefs that make United Methodists who we are. You’ll come away from this sermon series with a new appreciation for who you are as a Methodist and with language that will enable you to share it with others. Who do you know that would be blessed by celebrating the memory of a loved one that has passed or by learning more about Methodism? I hope you’ll invite that person to join you at Access this Sunday!